MINNEAPOLIS, Minnesota, October 8, 2013 (ENS) – Target Corporation, the second-largest discount retailer in the United States, Monday debuted a new sustainability standard for the household cleaners, personal care and beauty, and baby care products it sells. The Target Sustainable Product Standard, which was developed over the last two years in partnership with industry experts, vendors and nongovernmental organizations, will is intended to help establish a common language, definition and process for qualifying what makes a product more sustainable. Using GoodGuide’s UL Transparency Platform, Target will collect information from vendors and evaluate a product’s qualities against set criteria. Beginning this month, Target will ask vendors representing 7,500 products in household cleaners, personal care and beauty, and baby care to complete the assessment. Each product in these categories will be assigned up to 100 points based on the sustainability of ingredients, ingredient transparency and overall environmental impact. “Currently, there is no widely accepted industry standard by which vendors and retailers can judge the environmental impact and sustainability of products,” said Dara O’Rourke, co-founder and chief sustainability officer of GoodGuide, a source of information on the health, environmental and social impacts of consumer products. “With the Target Sustainable Product Standard, Target will help push the industry toward consensus on what sustainable standards should be and create incentives for innovation in this highly competitive space, ultimately broadening the sustainable product selection for their guests,” said O’Rourke. Target describes itself as “an upscale discounter that provides high-quality, on-trend merchandise at attractive prices.” The new Sustainable Product Standard is part of a larger effort by Target to green its operations. “Additionally, we are working to cut excess miles from our U.S. supply chain, limit packaging waste, and help our guests increase their use of reusable shopping bags, which has reduced plastic-bag consumption in our stores over the past four years,” Steinhafel said. As the Sustainable Product Standard rolls out and matures, it will inform Target’s merchandising and product-placement decisions. 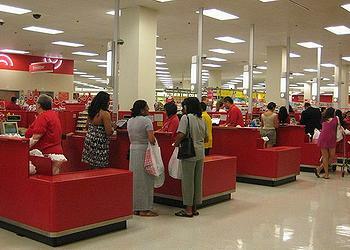 In 2014, Target will develop a standard for cosmetics and will begin assessing products in that category as well. Target’s new standard comes just three weeks after Walmart, the world’s largest retailer, announced its new Sustainability Index, a measurement system used to track the environmental impact of products.